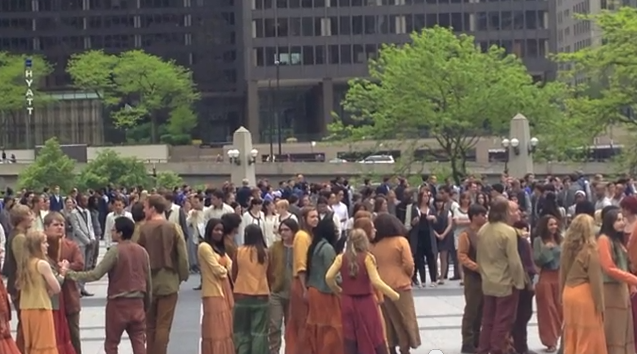 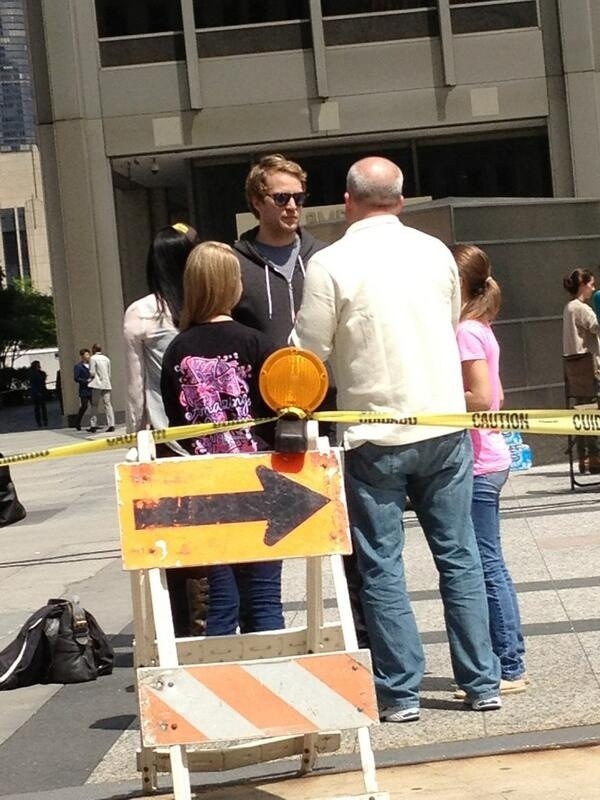 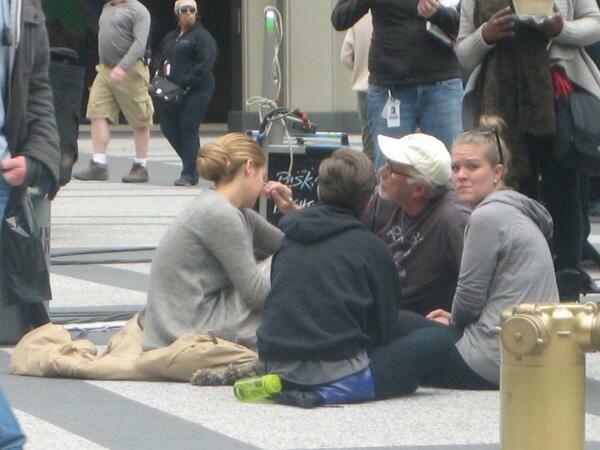 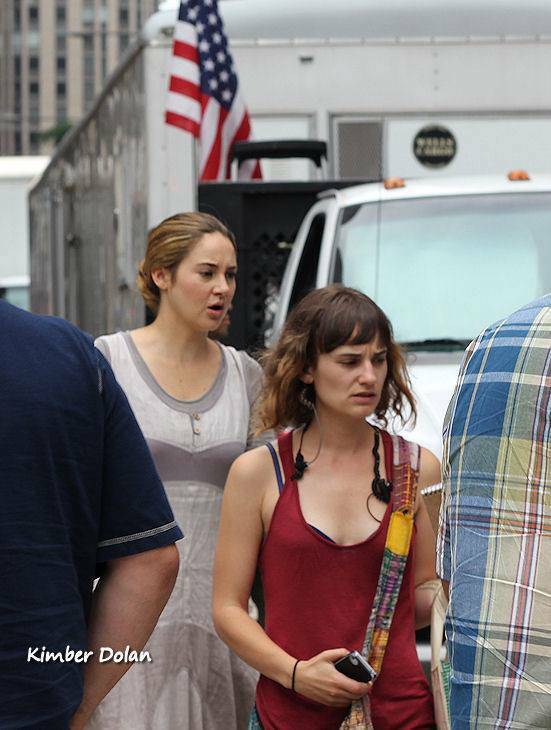 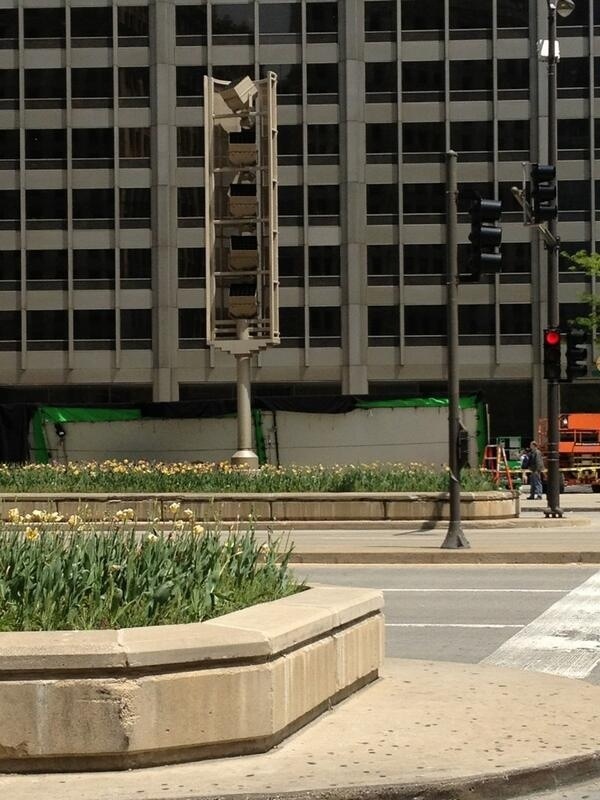 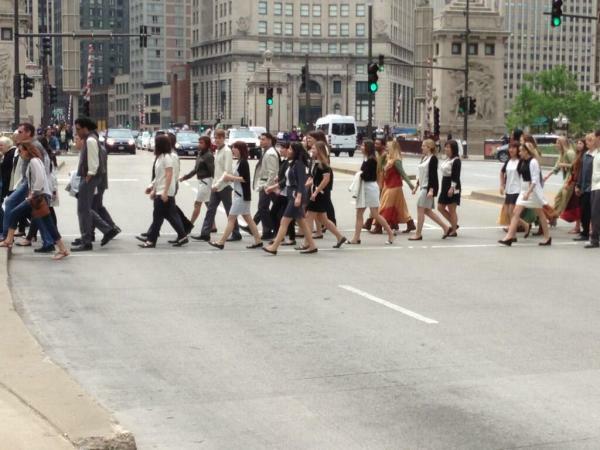 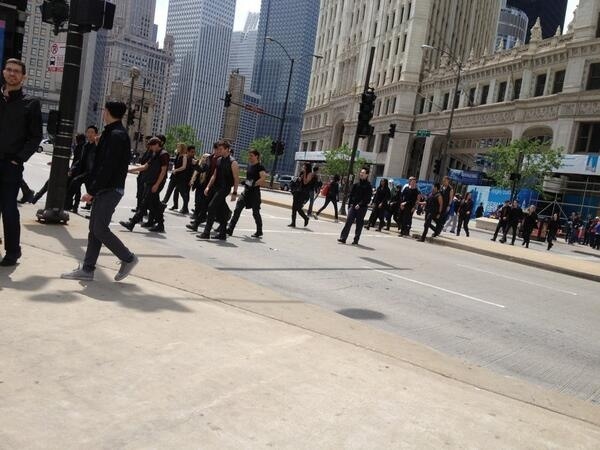 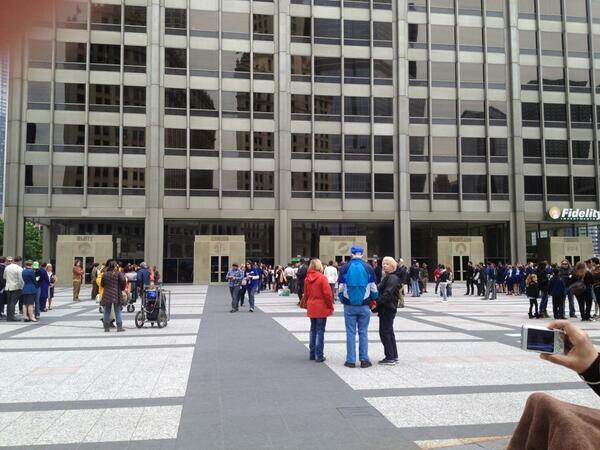 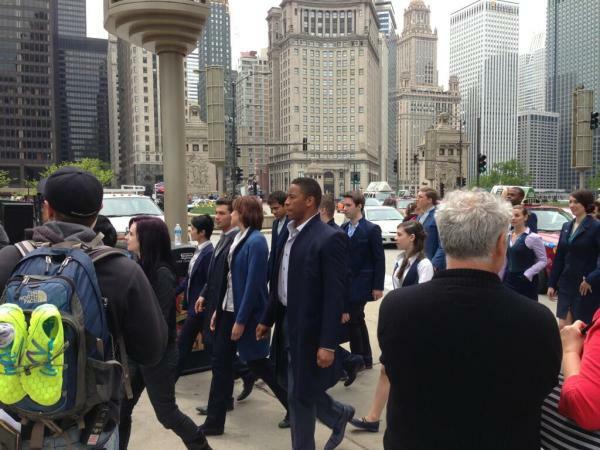 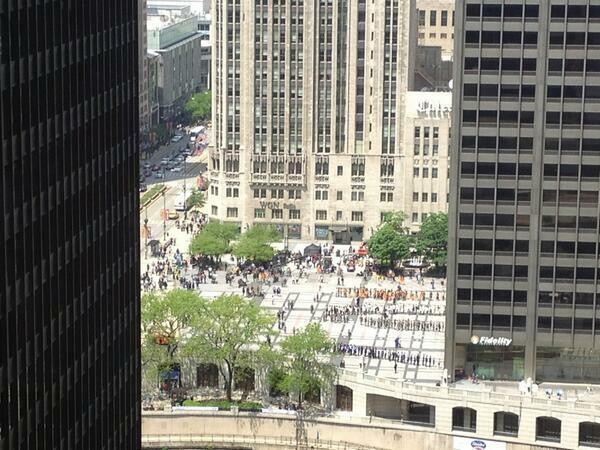 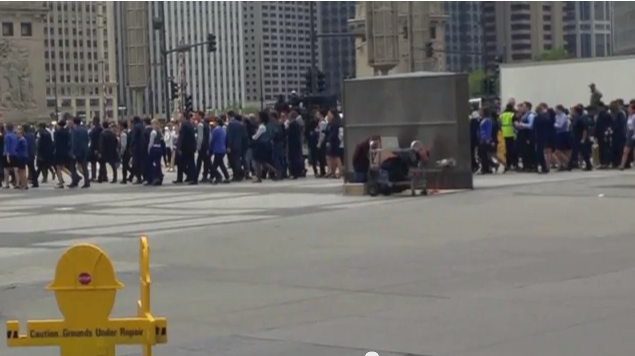 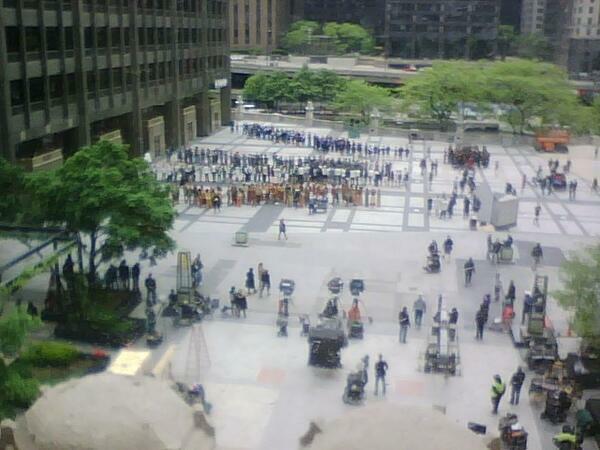 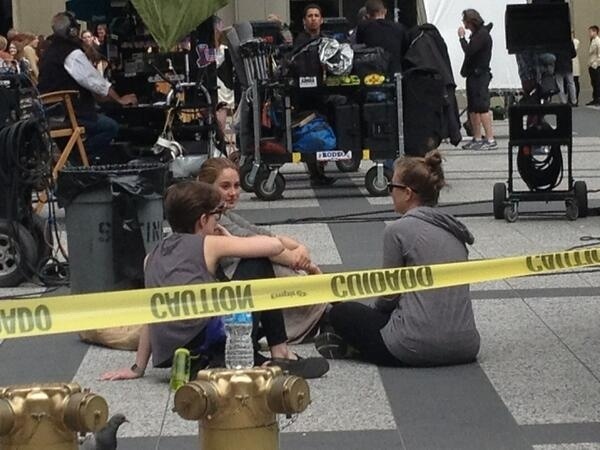 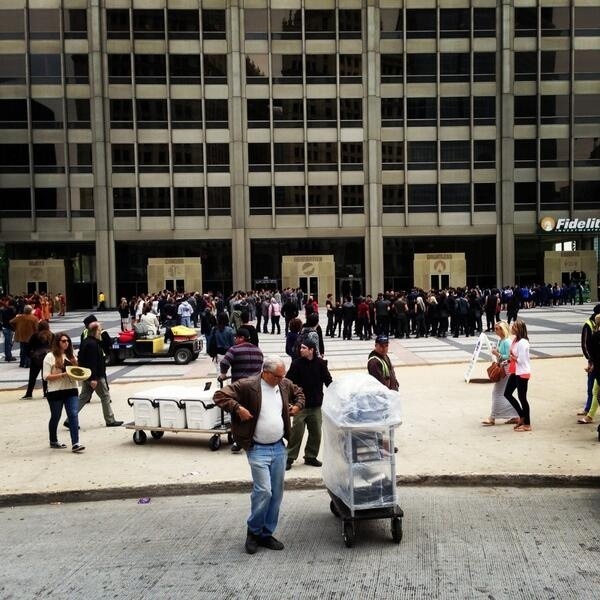 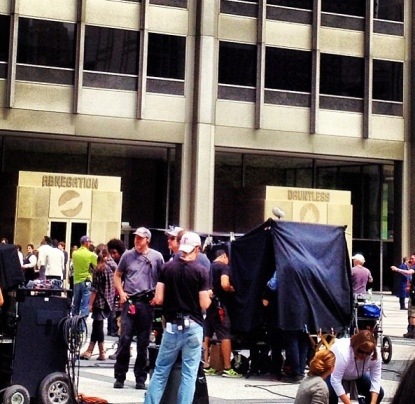 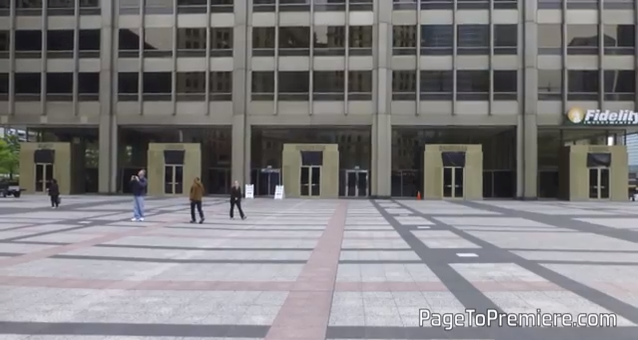 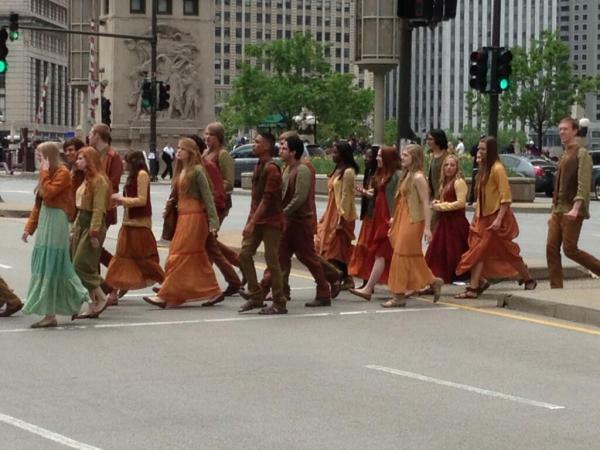 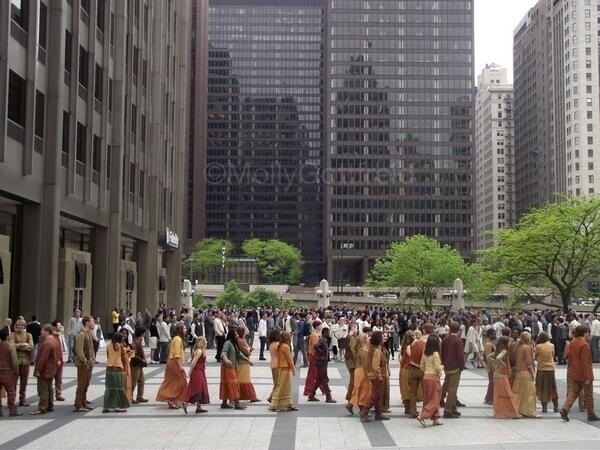 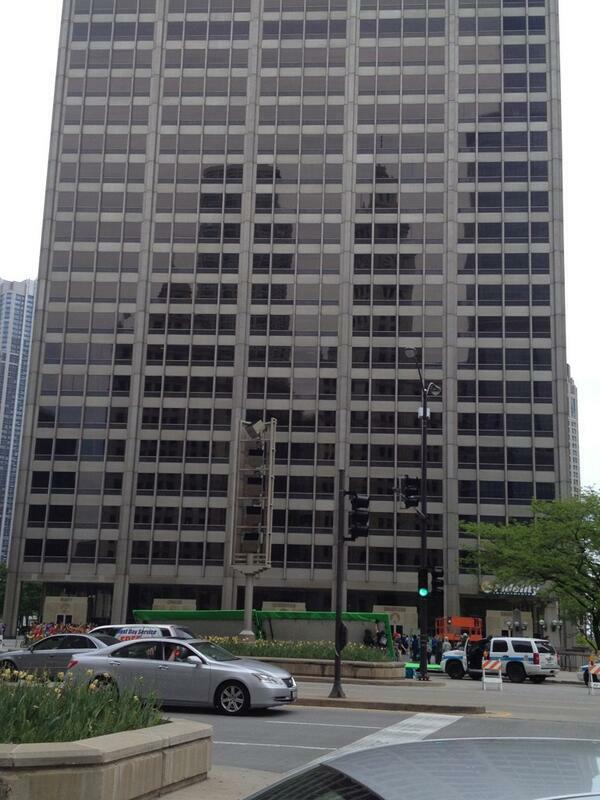 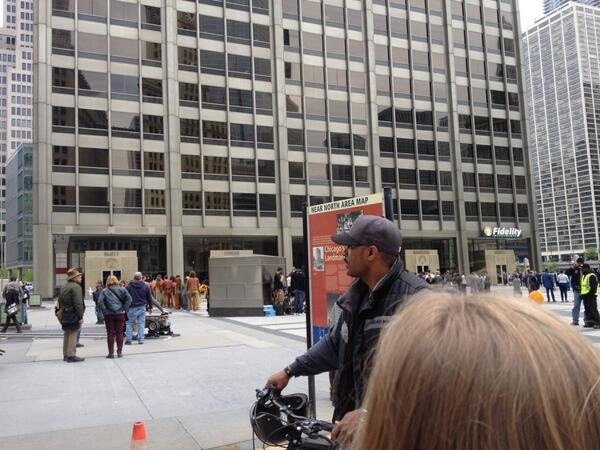 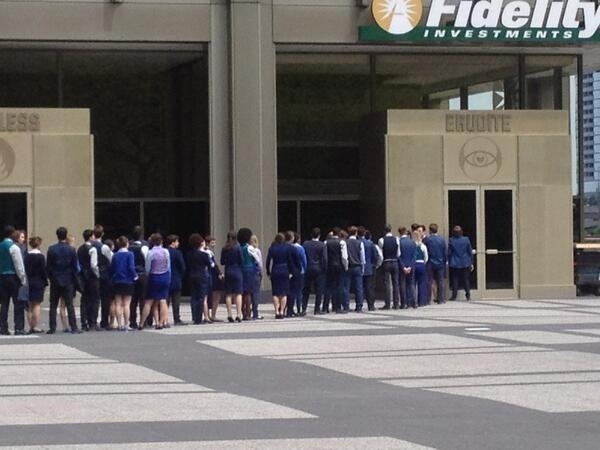 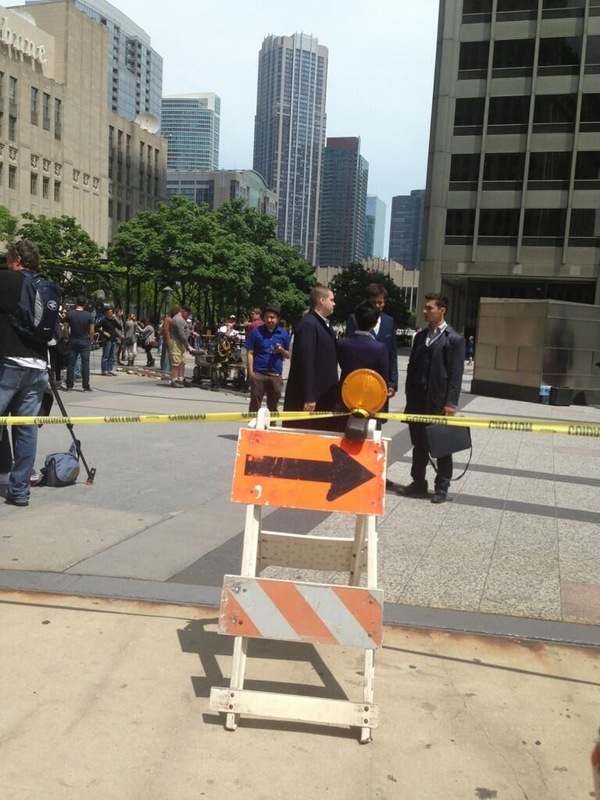 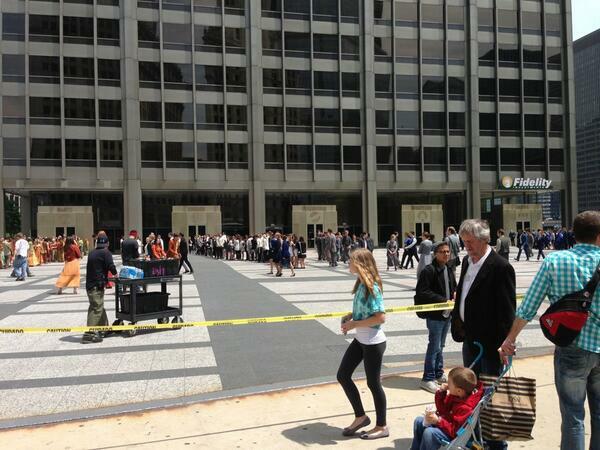 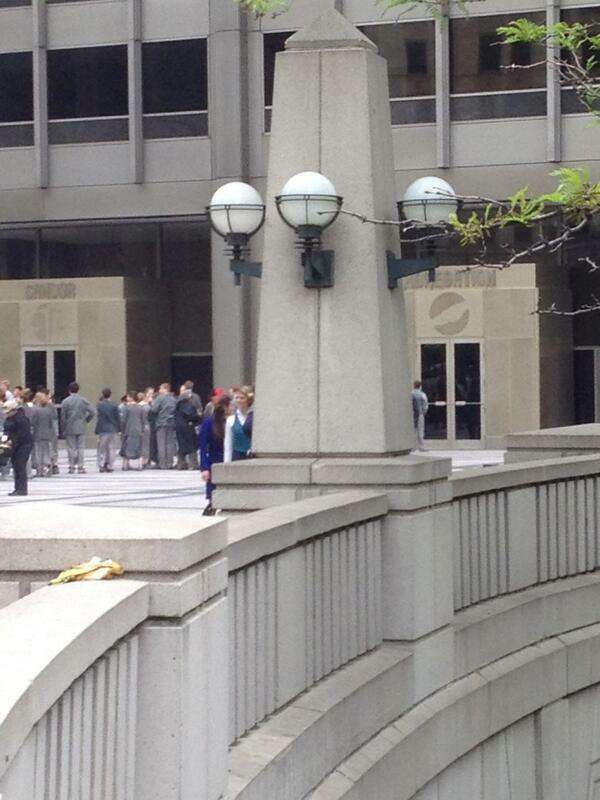 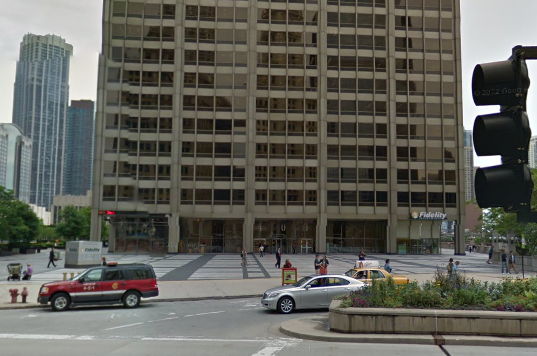 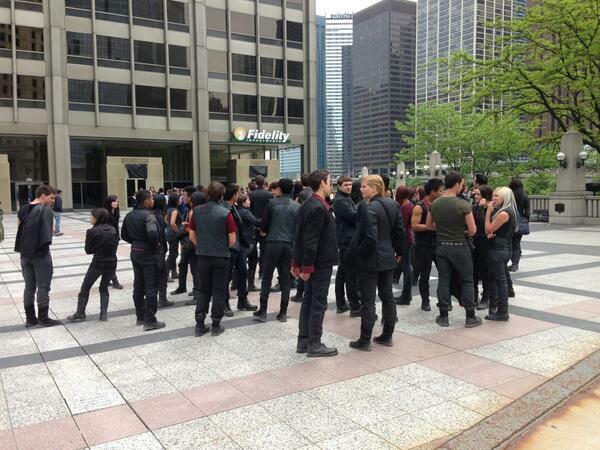 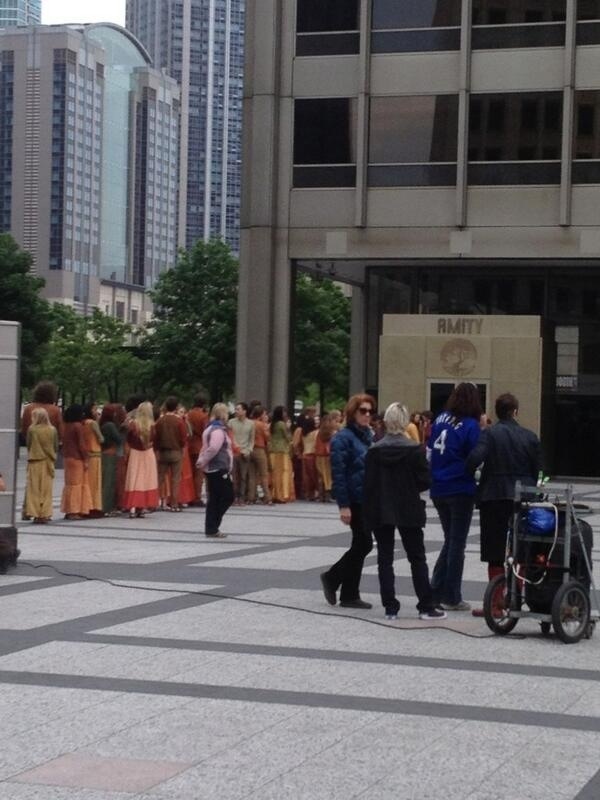 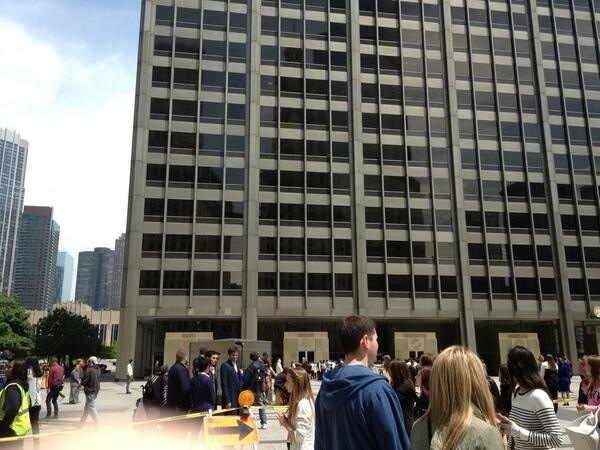 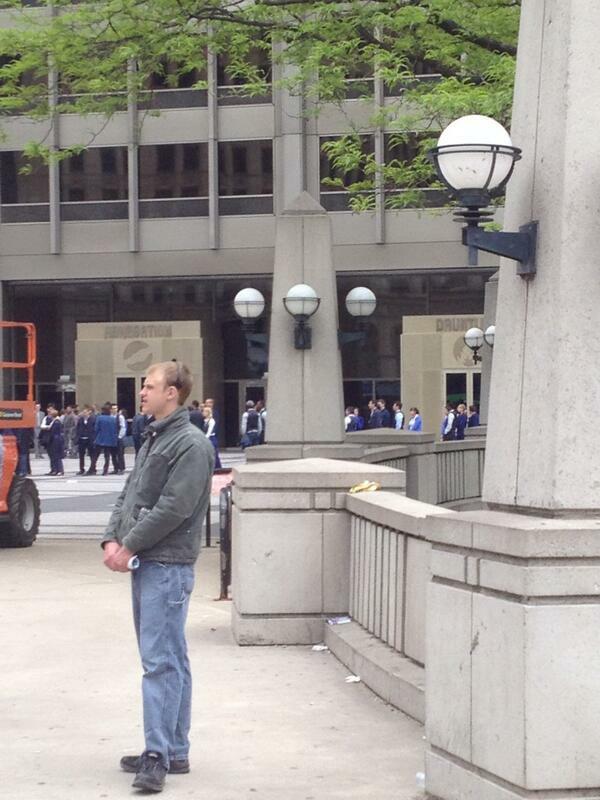 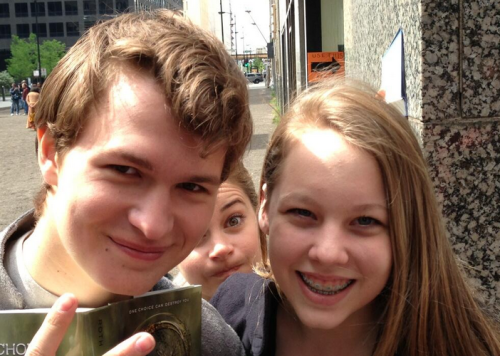 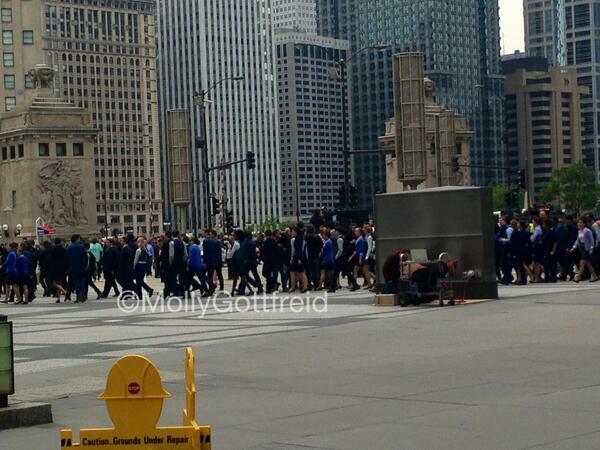 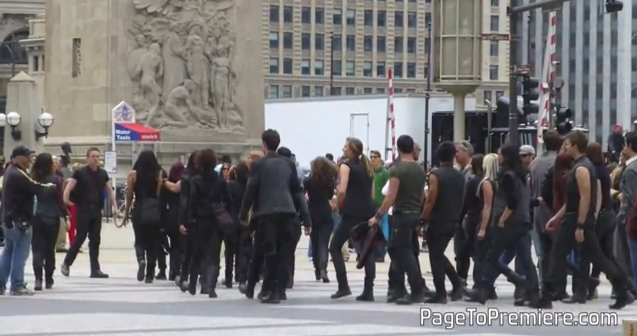 Filming for Divergent is still underway. 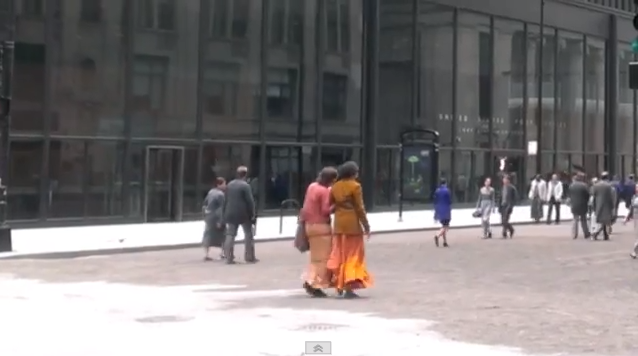 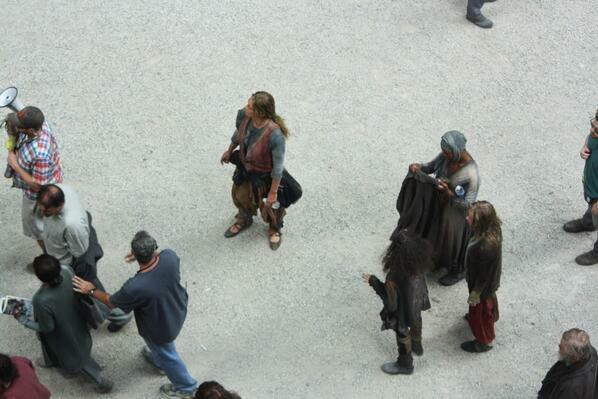 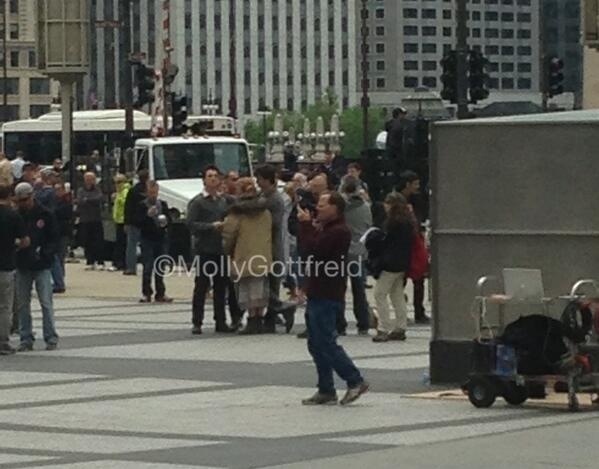 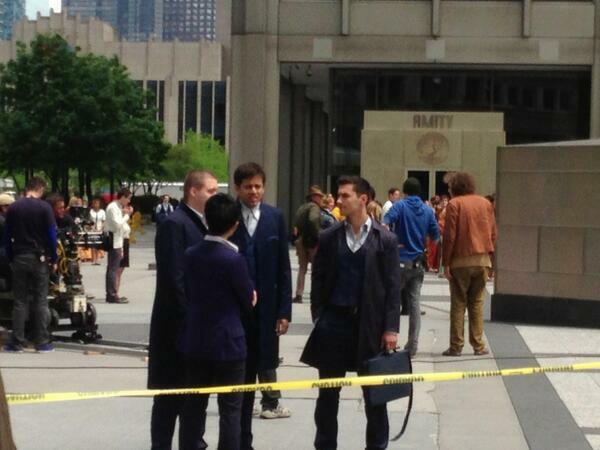 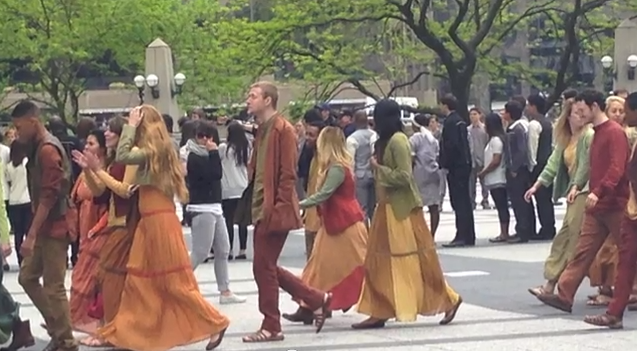 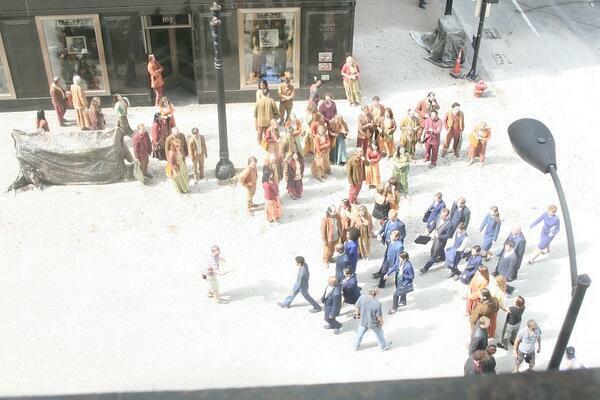 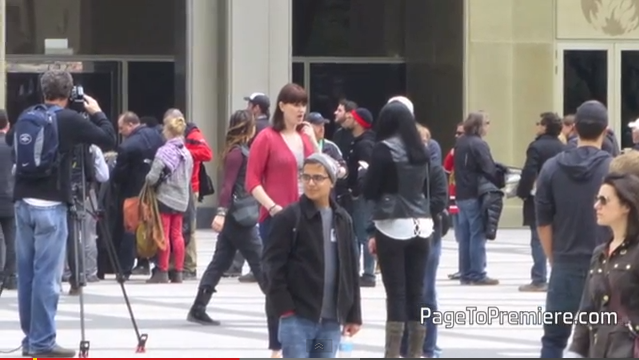 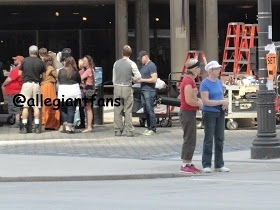 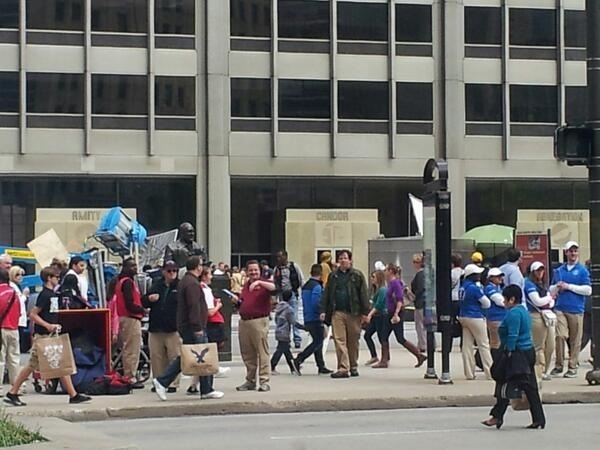 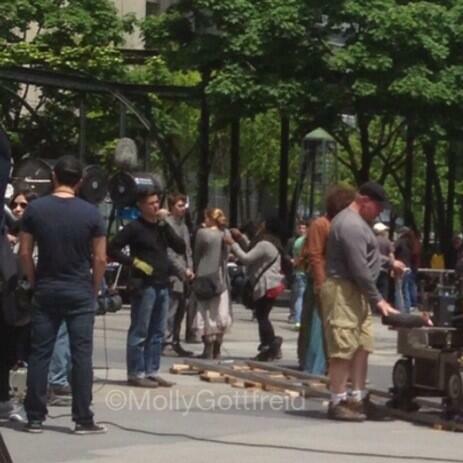 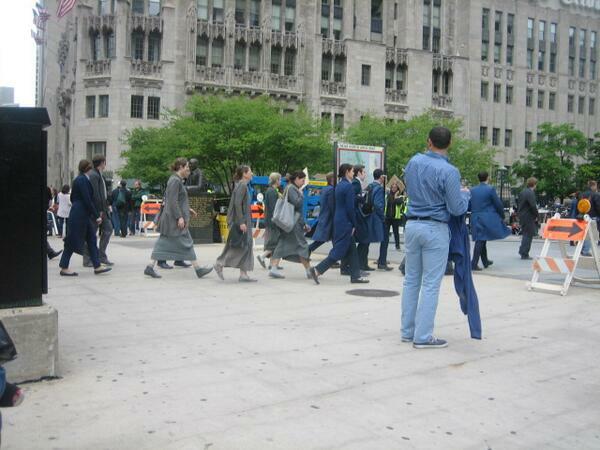 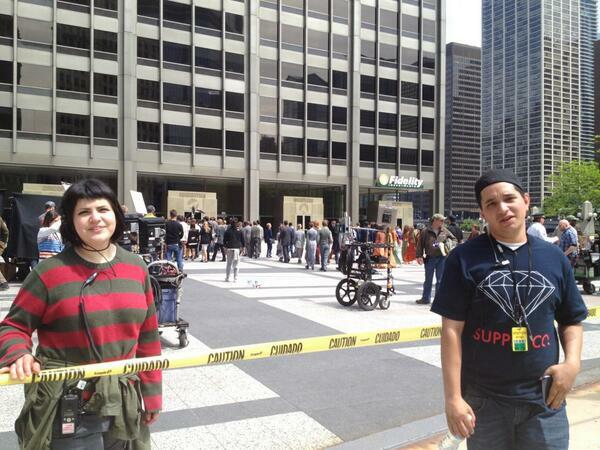 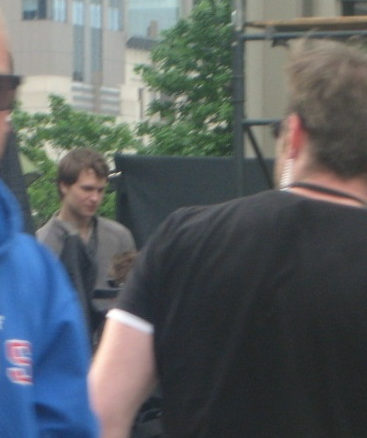 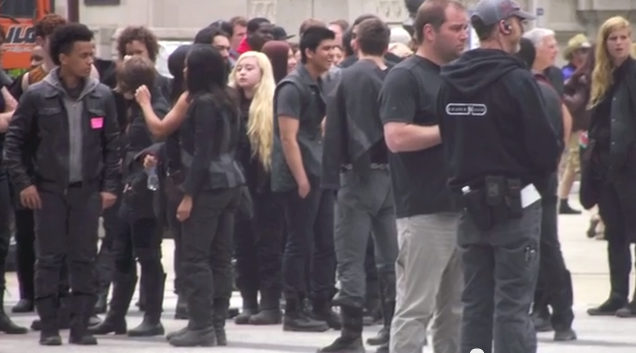 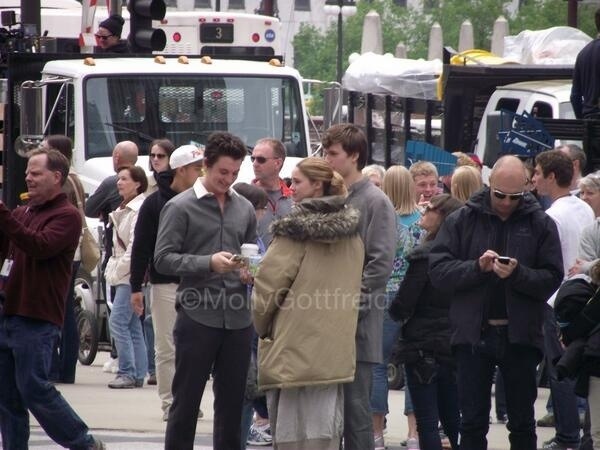 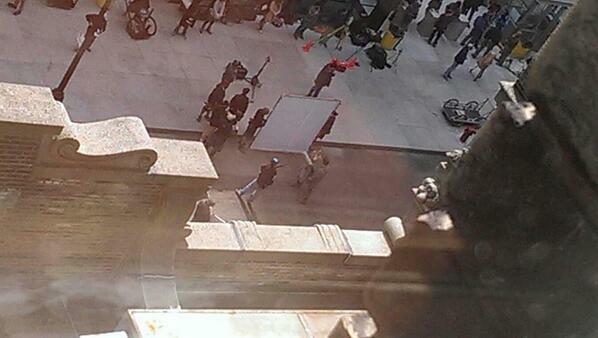 Fans have been able to get shots of the cast and crew filming scenes. 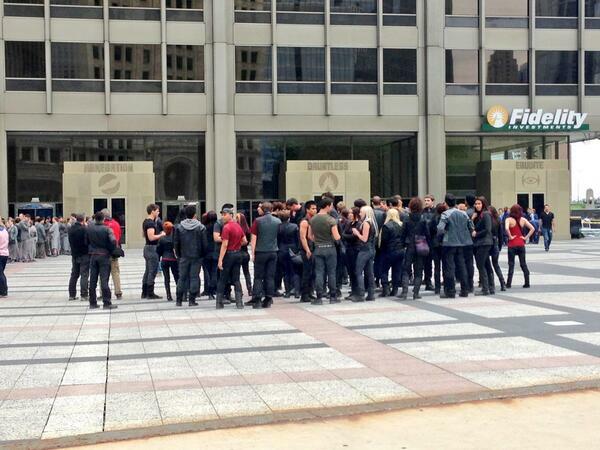 Today @factionsb4blood shared a photo from set. 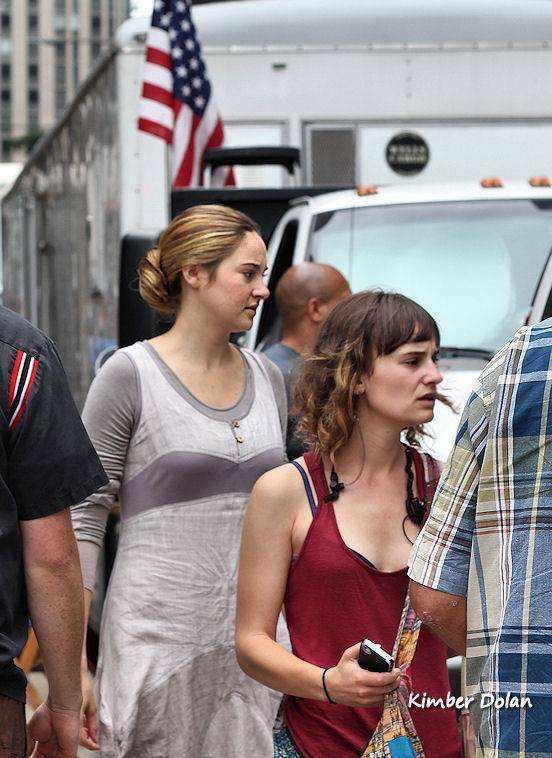 The photo seems to be Shailene Woodley (Tris Prior) and Zoe Kravitz (Christina) or their stunt doubles on top of the train tracks. 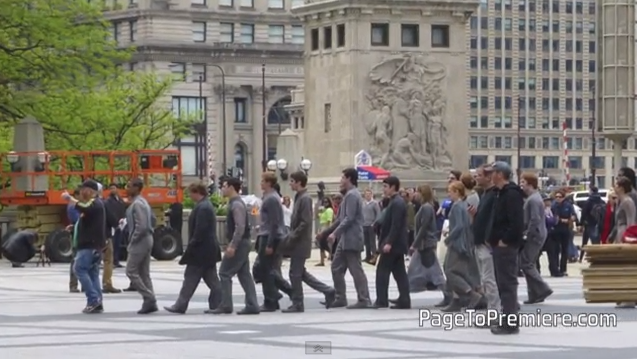 Probably the scene when they jump from the train to the top of the building. 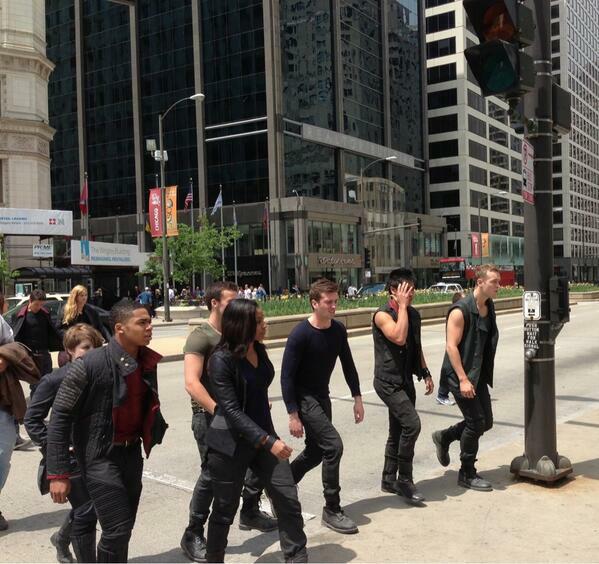 Divergent will be in theaters next year on March 21st. 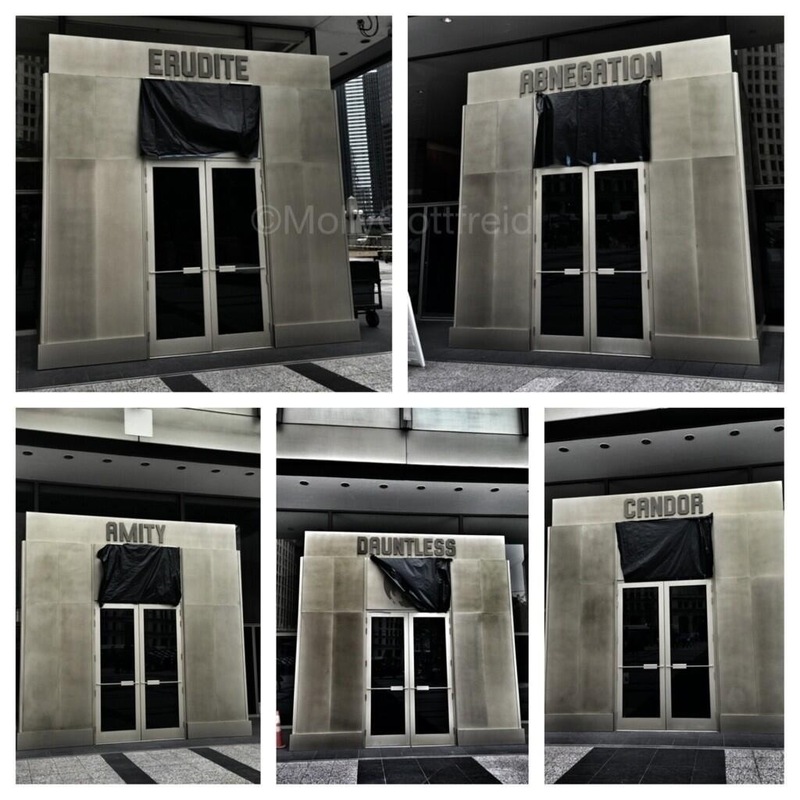 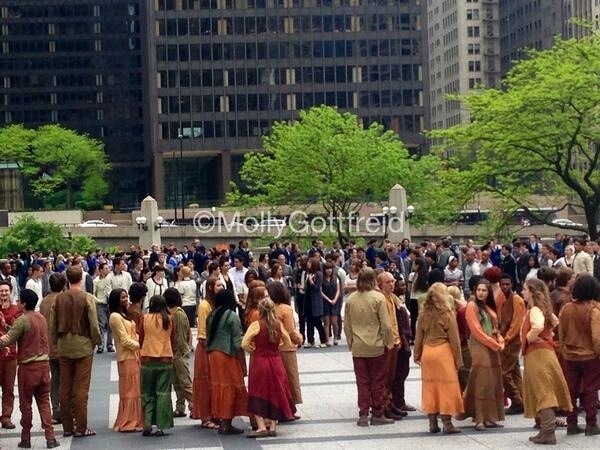 Categories: Abnegation, Candor, Christina, Divergent, Divergent Movie, on Set, Set Photos, Shailene Woodley, Tris Prior, Zoe Kravitz | Tags: Christina, Divergent, divergent movie, set photos, shailene woodley, tris prior, Zoe Kravitz | Permalink. 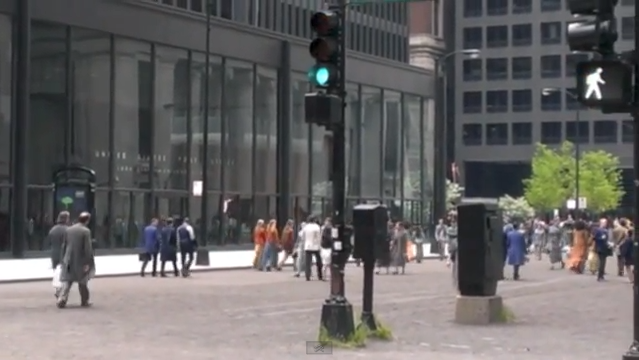 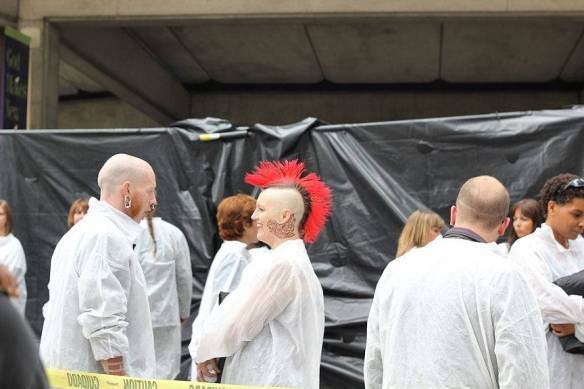 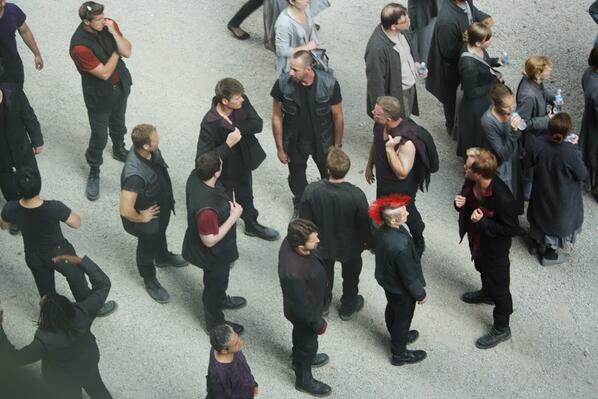 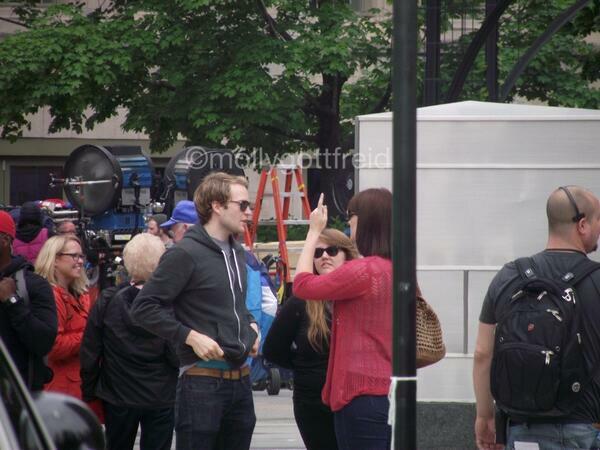 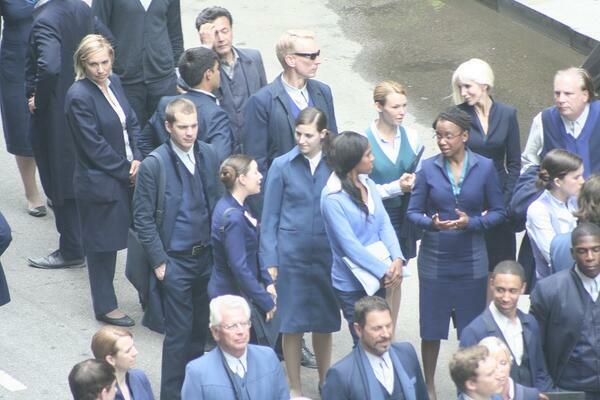 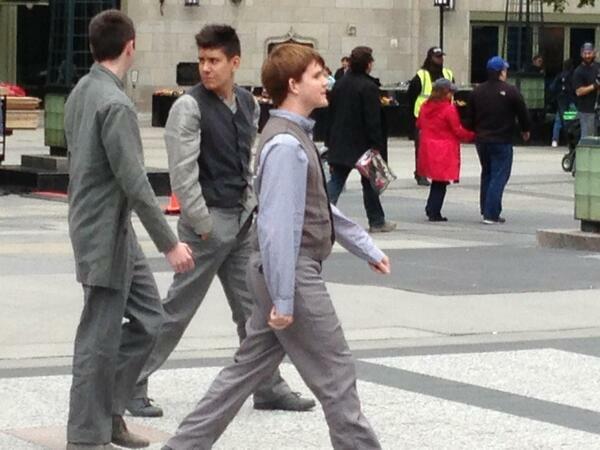 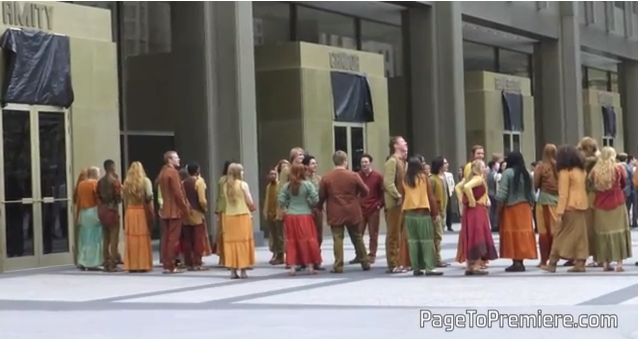 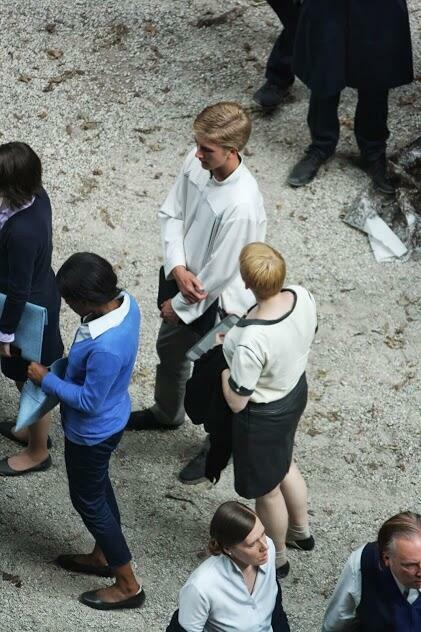 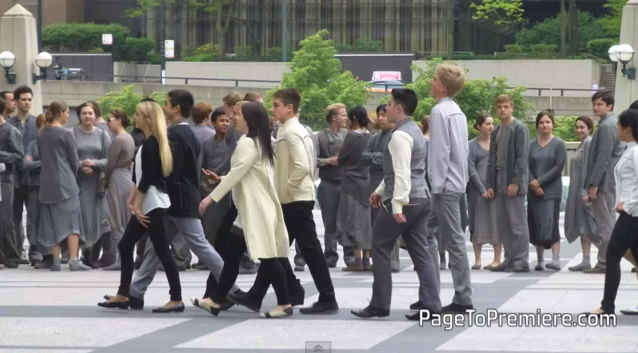 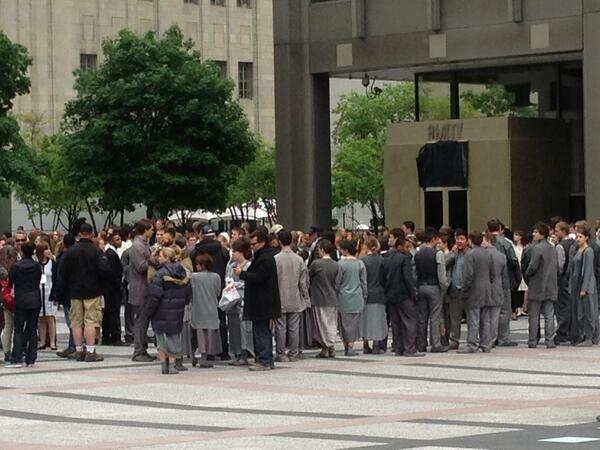 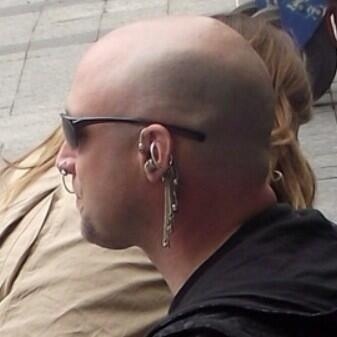 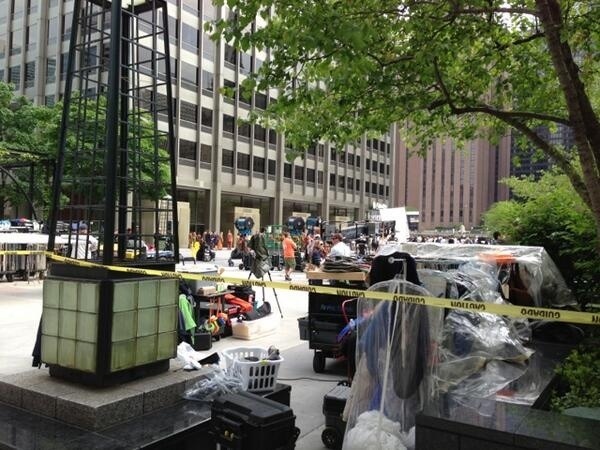 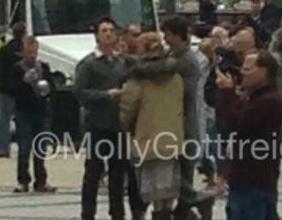 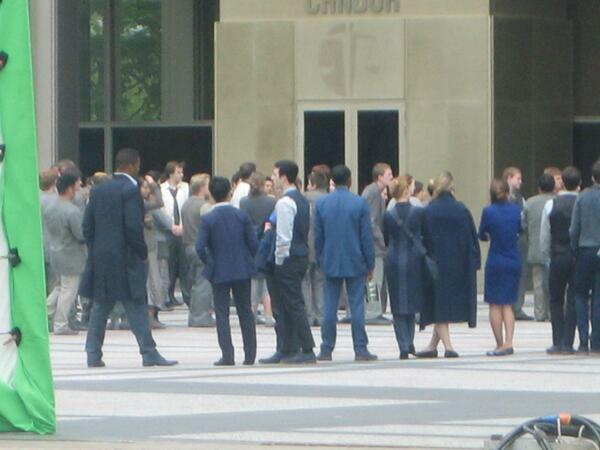 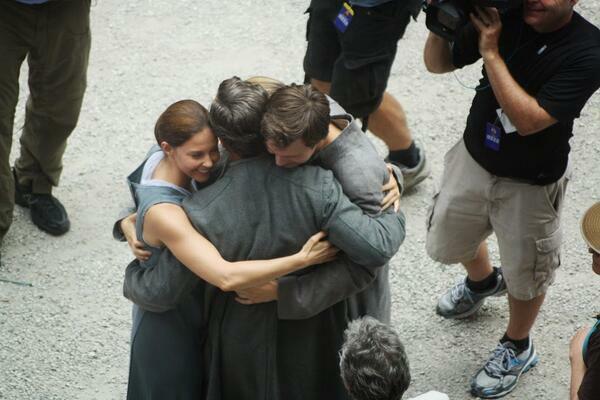 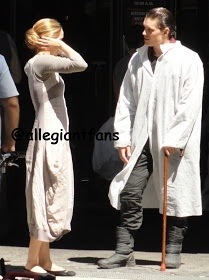 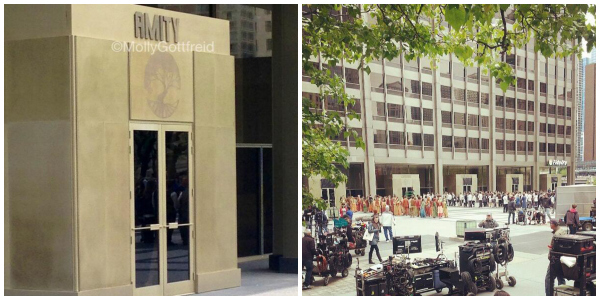 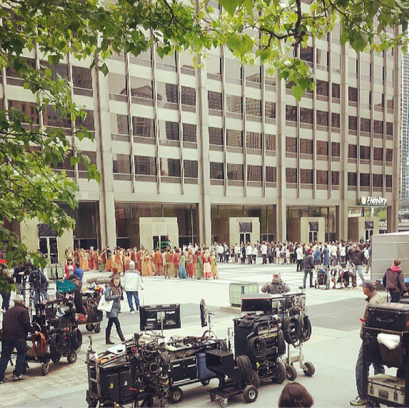 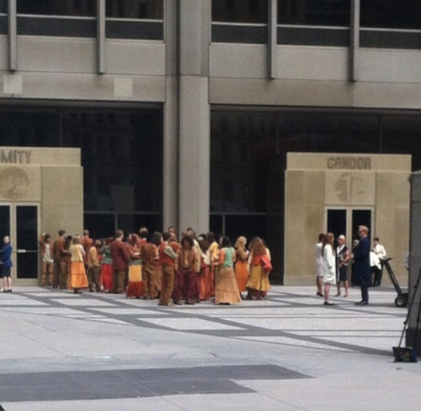 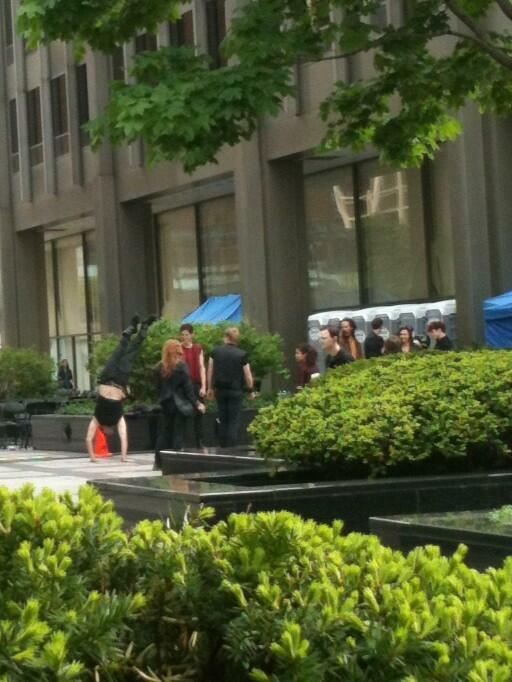 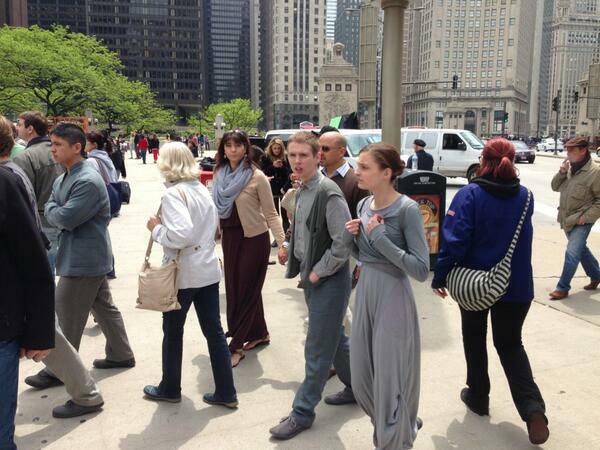 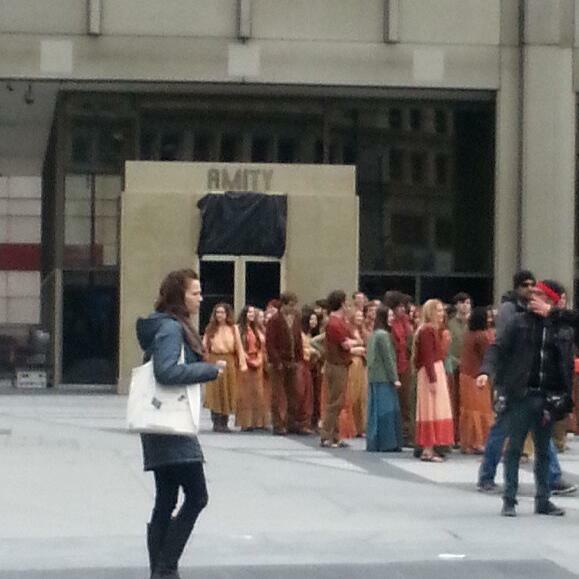 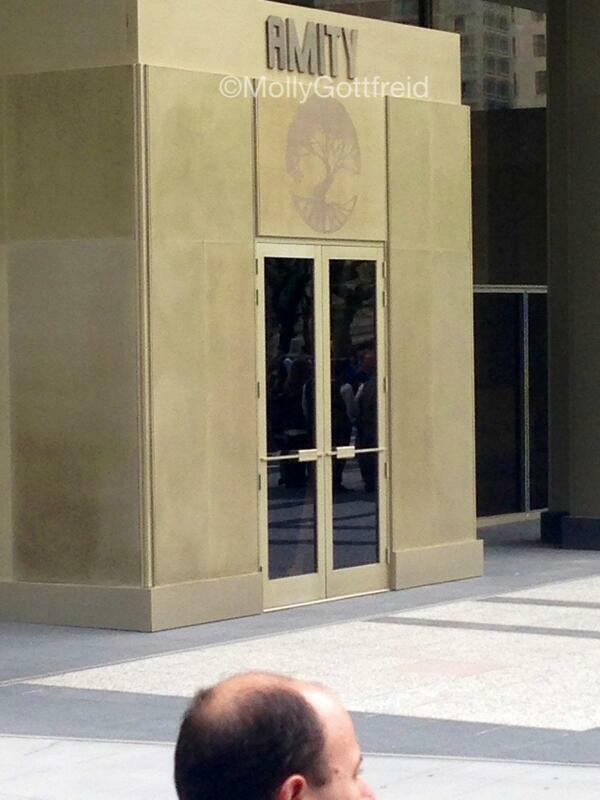 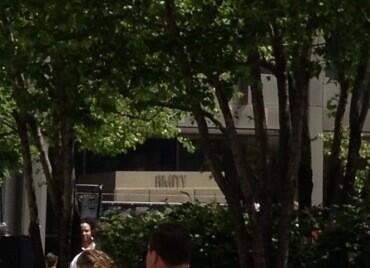 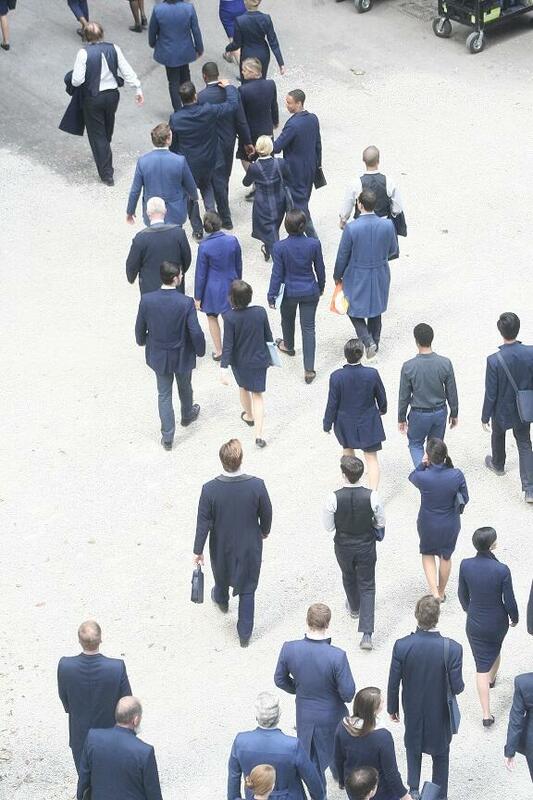 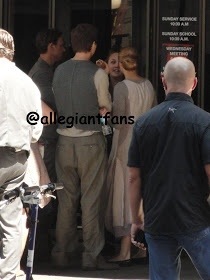 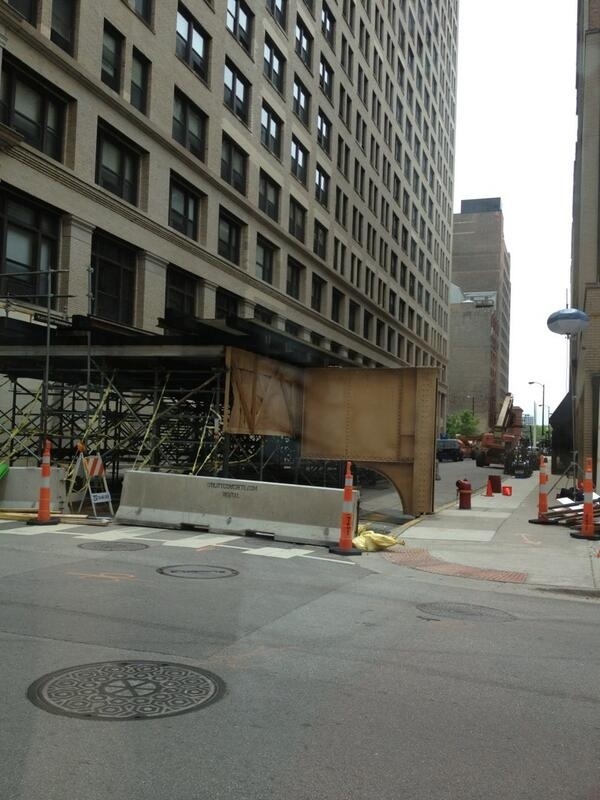 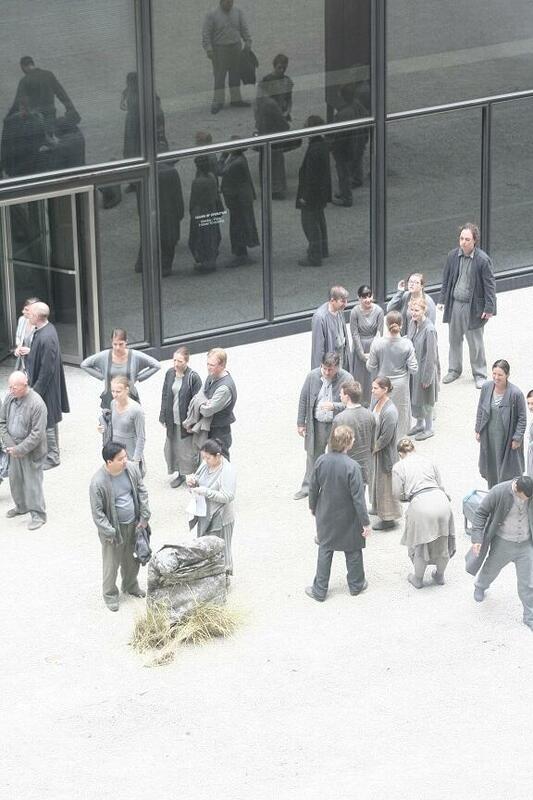 ‘DIVERGENT’ on set photos and videos day 2 roundup! 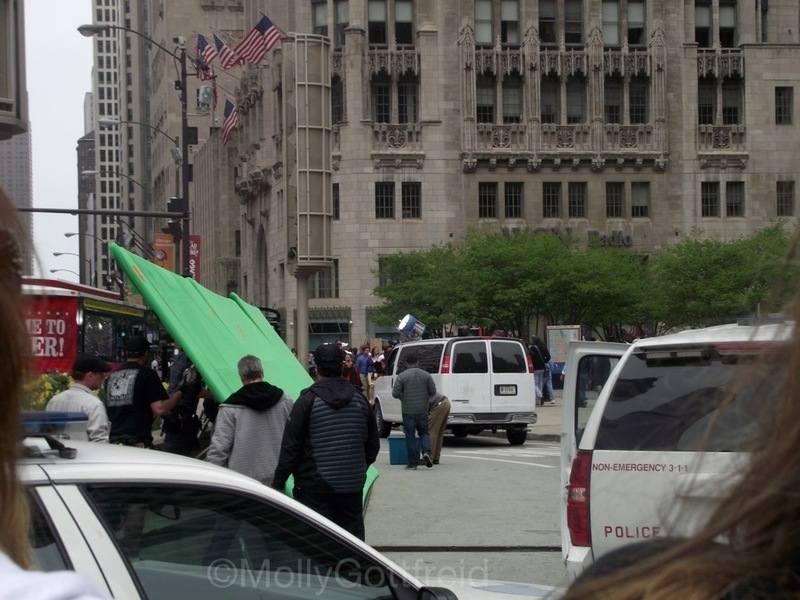 Yesterdays set photos and videos were very eventful, but today has been more eventful. 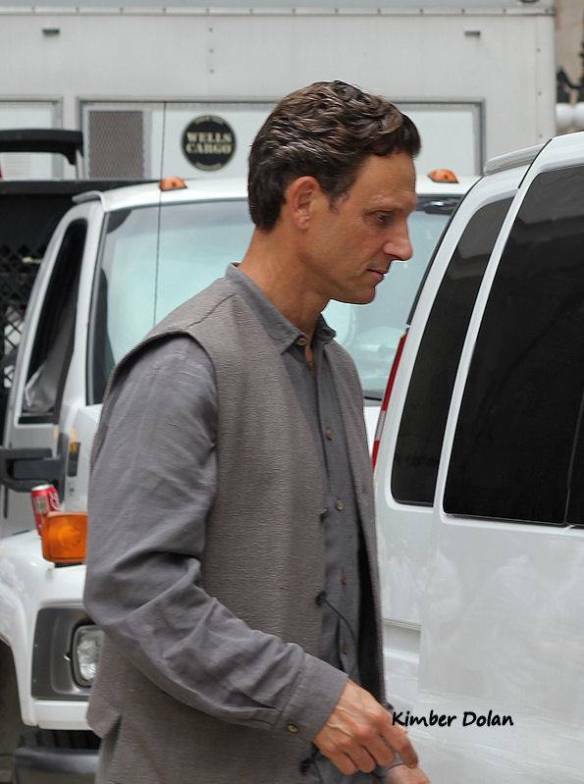 The photos are courtesy of @ajh7471, @pattycakezo, @MollYxGottfreid, @Mellie_01, @Shelby19Wilson@Sugarshack91 @MontgomeryJones, @giadalovesya,@astew1016, @amanda_peticca, @Bulldawg11, @lonestarkendall, @scottedelman, @piyushinha, @meganmcsherry, @JustALH, @lexieleighxo, @leah_zak, @YoTeach42, @henny786, @tevaburns, @thatdudeiu,@boltedV,@TimDerochers, @AlexParker. 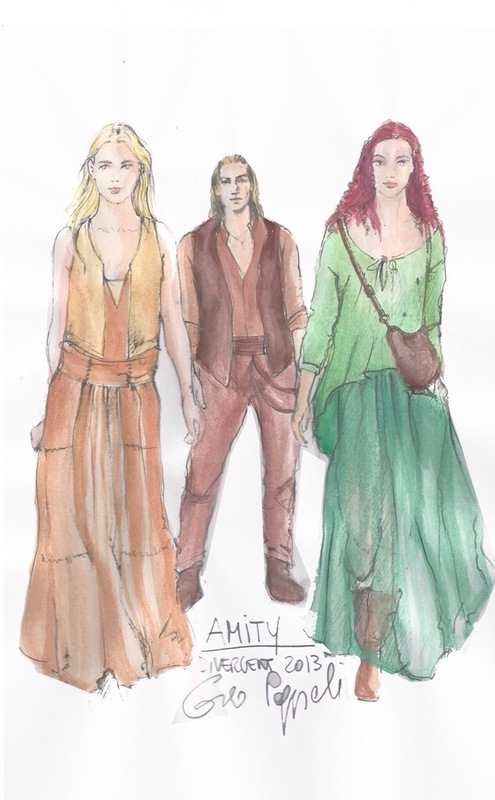 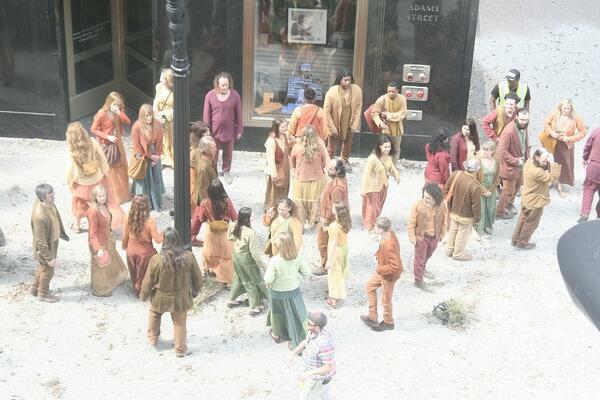 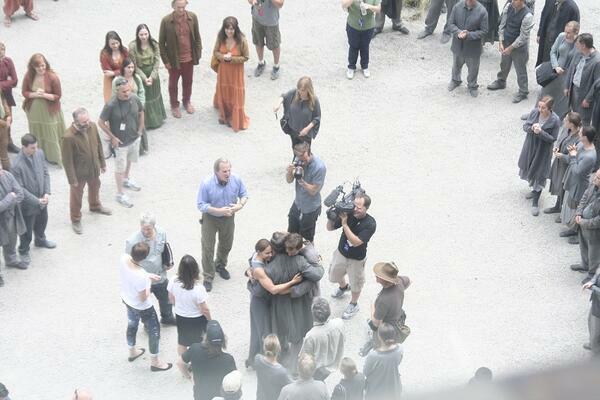 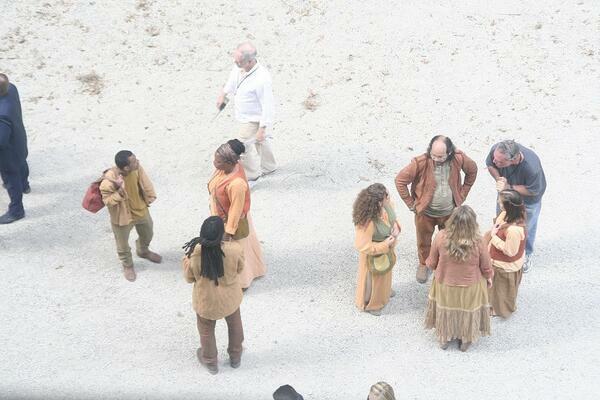 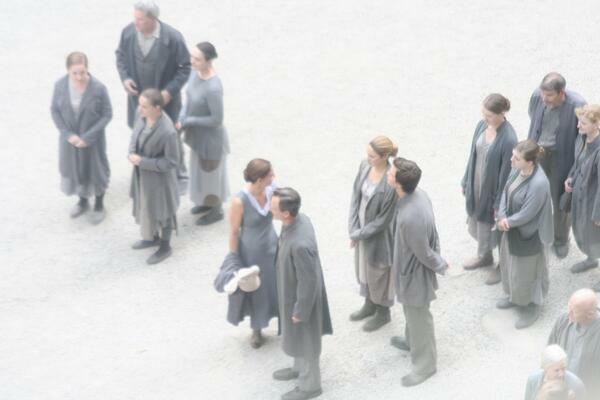 The photos contain extras in their Amity. 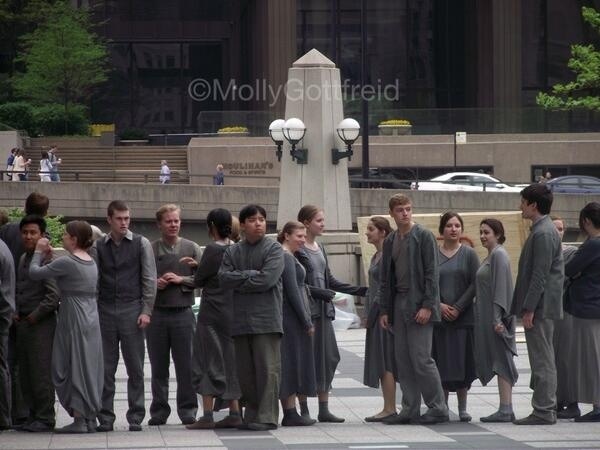 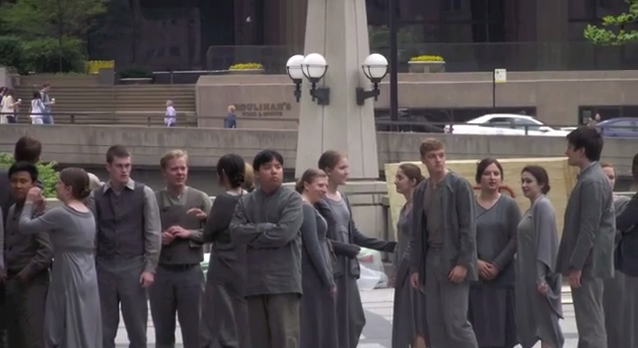 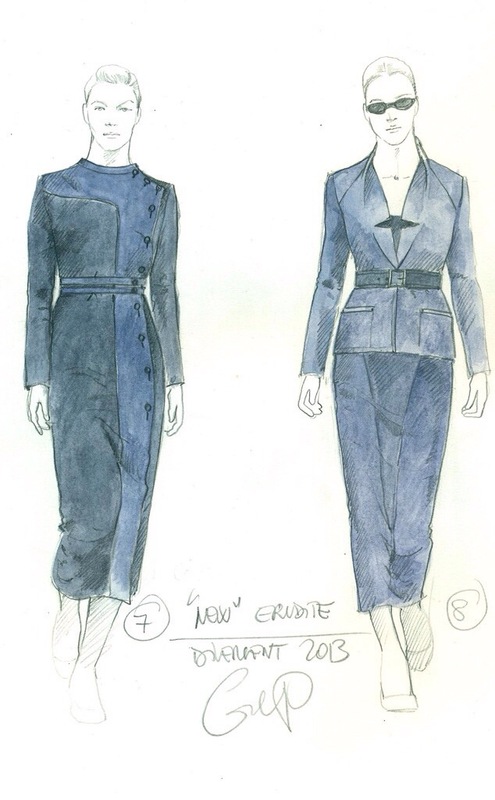 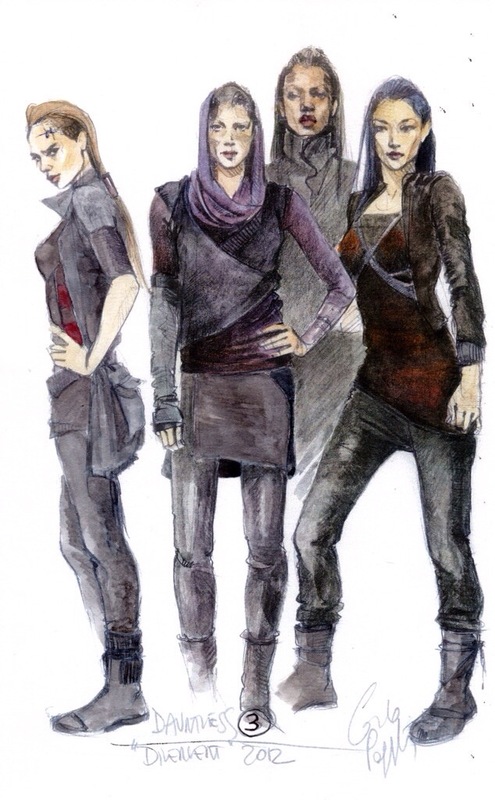 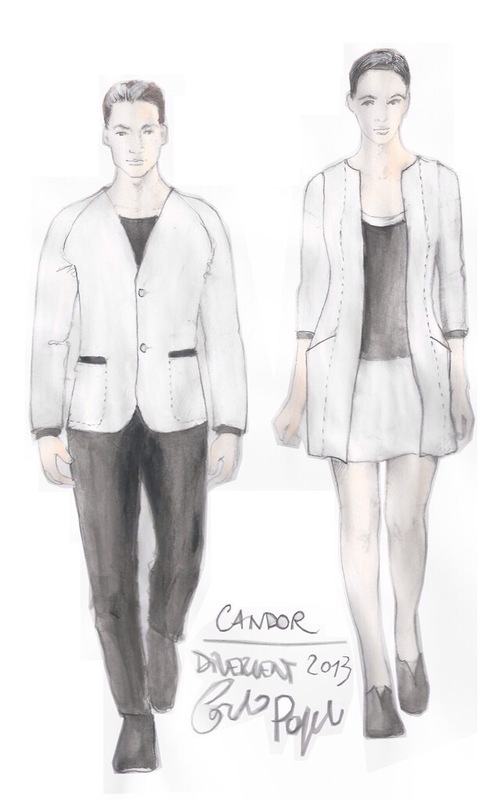 Abnegation, Candor, Dauntless, and Erudite faction clothing. 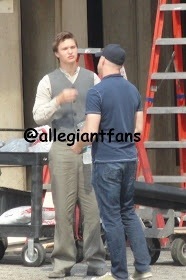 Some of the actors are also in the pictures, Shailene Woodley (Tris Prior), Ansel Elgort (Caleb Prior), Miles Teller (Peter), Ben Lamb (Edward) and Amy Newbold (Molly). 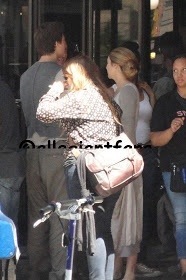 There were also a few reports that Kate Winslet was on set filming. 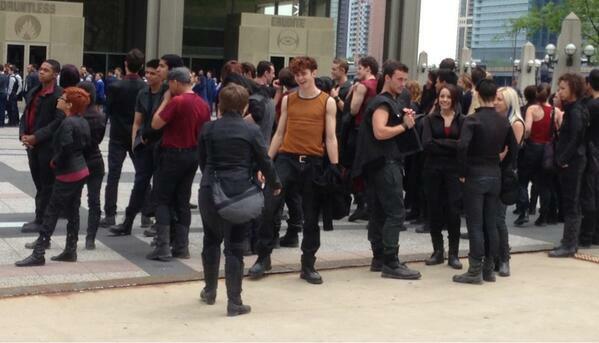 Enjoy the photos below of our Divergent cast. 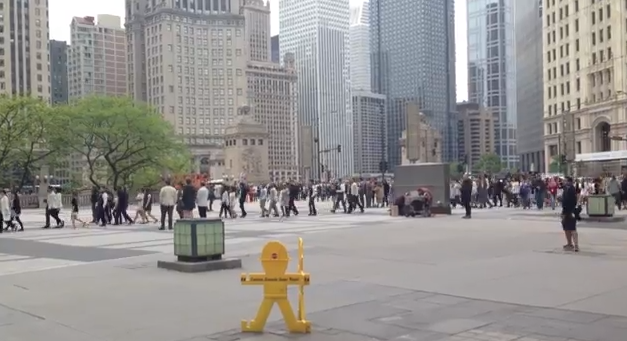 Videos courtesy of Andy Schein, funnyman1098, and Myca Bautista. 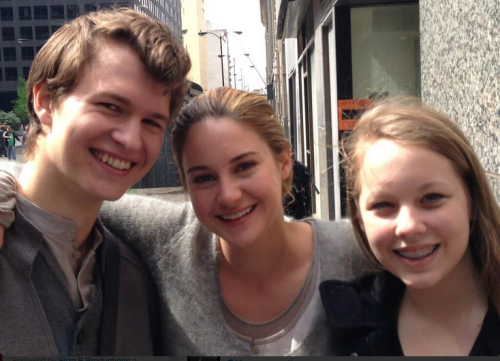 Thanks guys for sharing your photos and videos. 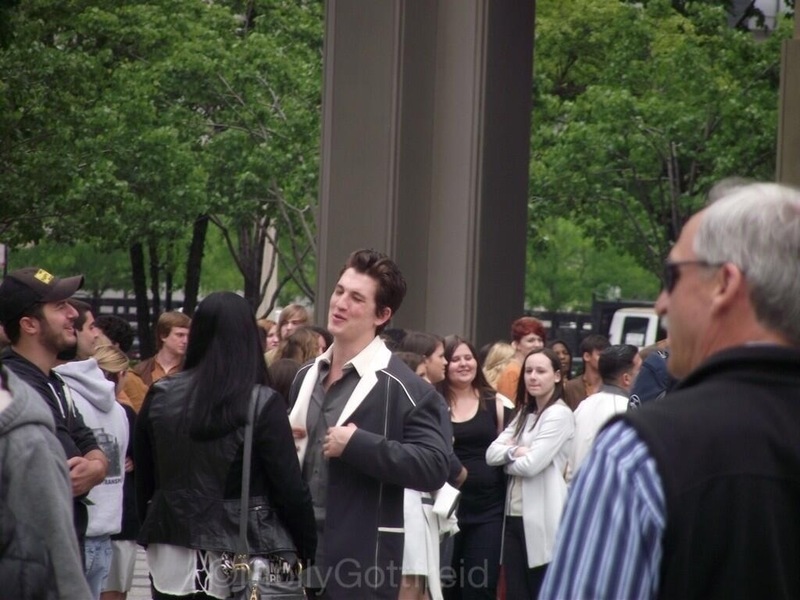 If you see your photo and I did not credit you please let me know and I will do so. 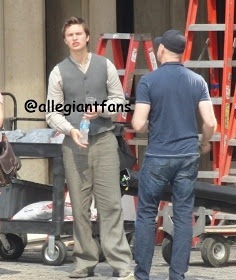 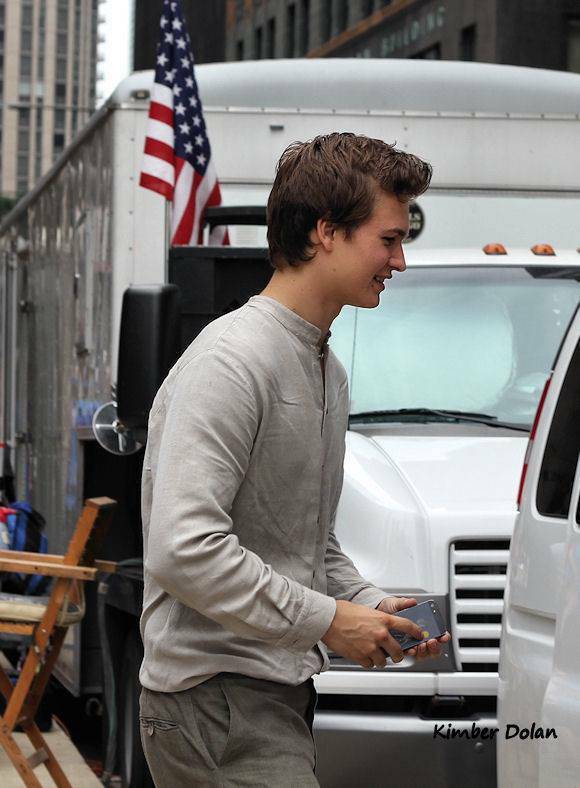 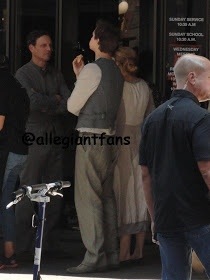 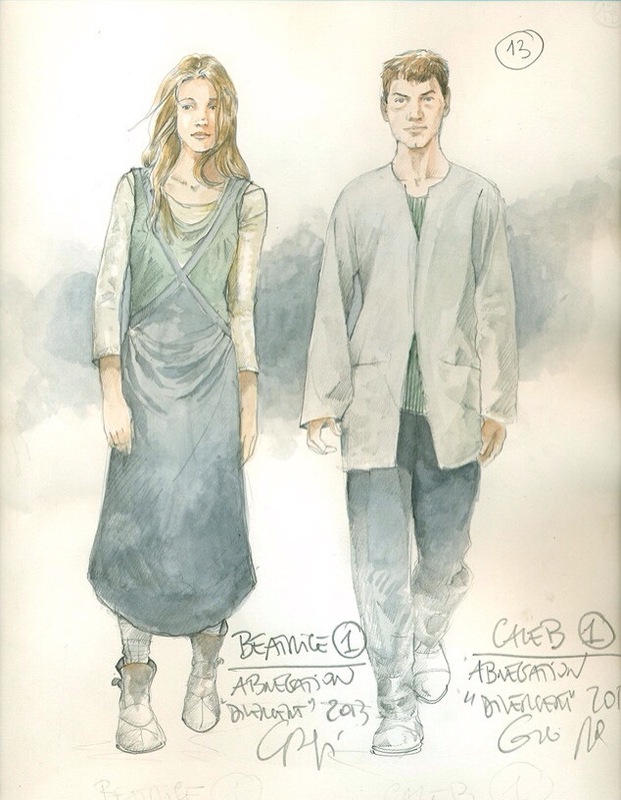 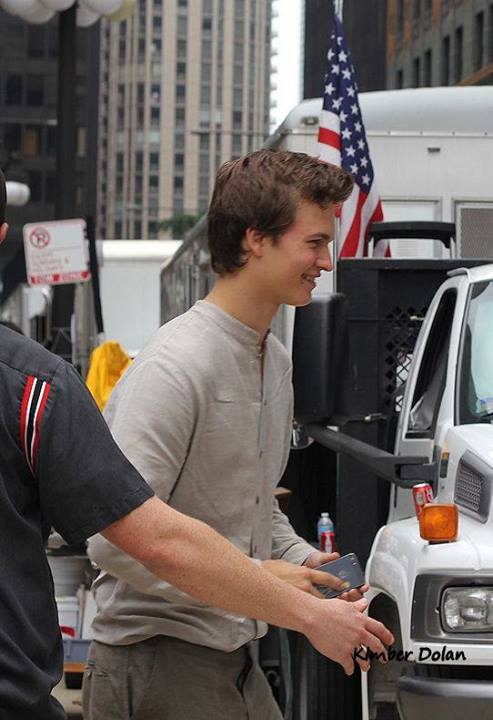 Categories: Abnegation, Amity, Amy Newbold, Ansel Elgort, Ben Lamb, Caleb Prior, Candor, Dauntless, Divergent, Divergent Movie, Erudite, Factions, Molly, on Set, Set Photos, Shailene Woodley, Tris | Tags: abnegation, amity, Amy Newbold, Ansel elgort, Ben Lamb, Caleb Prior, candor, Chicago, Dauntless, divergent movie, erudite, Miles Teller, set photos, shailene woodley | Permalink.